Catholic Media Award to "Modern Family"
“Catholics in Media Associates was formed by working professionals in the entertainment industry whose initial purpose was to share personal concerns of faith and spirituality as it is experienced in the workplace. “Referred to as the ‘Catholic Oscar,’ though in this case it would be the ‘Catholic Emmy,’ the Catholics in Media Associates has given ABC’s Modern Family its 2012 television award. “The 11-time Emmy winning Modern Family can add another accolade to its list: the Television Award from Catholics in Media Associates. “Conservative groups have targeted the ABC comedy for featuring a loving and committed gay family, or even for acknowledging that gay people exist. 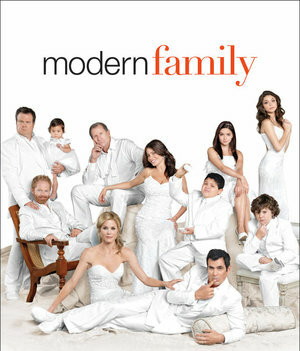 Congratulations not only to Modern Family, but to CIMA for their wise choice! https://www.newwaysministry.org/wp-content/uploads/2017/09/logo_nwm-1.png 0 0 Francis DeBernardo, Editor https://www.newwaysministry.org/wp-content/uploads/2017/09/logo_nwm-1.png Francis DeBernardo, Editor2012-05-12 09:34:172012-05-12 09:34:17Catholic Media Award to "Modern Family"